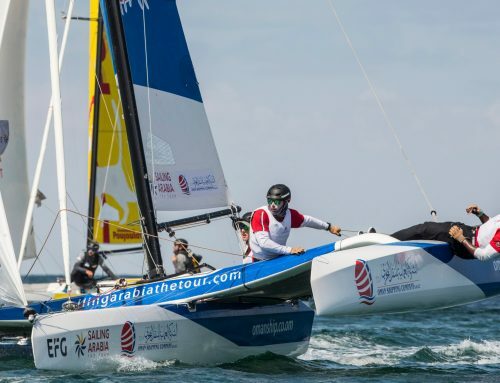 French team Vivacar.fr delivered a masterclass in stadium racing today as the Masirah Island stage of EFG Sailing Arabia – The Tour concluded. The young team outperformed their seven rivals in two of the three short, intense races staged in the still blue waters just off Masirah’s main town of Dhuwwah. Conditions ranged from breathless to breezy, with the eight international teams having to wait a lengthy spell in between the first and second races when the wind disappeared completely. 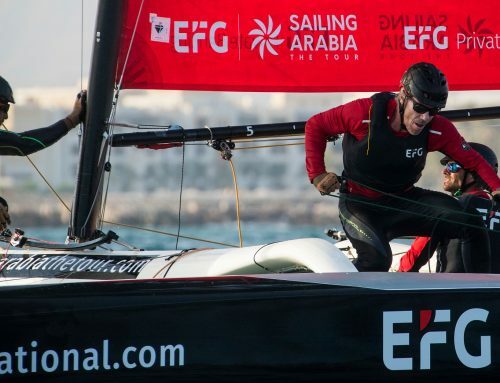 Overall EFG Sailing Arabia – The Tour leaders Beijaflore marked up another win in the opening light winds race, finishing ahead of EFG Bank Monaco, the reigning champions and their main rivals for the title. When the forecast breeze filled Vivacar.fr stole the show, dominating the starts of both races and holding onto the lead until the finish line on both occasions despite valiant attacks from Averda, EFG Bank Monaco, Beijaflore and Cheminees Poujoulat. Vivacar’s brace of victories are their first since EFG Sailing Arabia – The Tour began in Salalah on February 3, and the first time that Beijaflore or EFG Bank Monaco have not finished a day on top. They also now rocket up the leaderboard from sixth to fourth, and trail third-placed Averda by only three points. 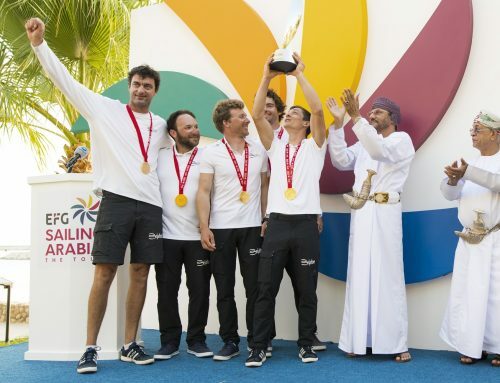 While victory in the Masirah Island stadium racing series went to Vivacar.fr, it was Beijaflore that topped the table for the stopover thanks to a combination of their top results in the coastal raid and stadium races. Beijaflore now lead overall by six points with two stadium racing series and two coastal raids remaining. EFG Bank Monaco are in second overall on 13 points, with Averda in third on 17 points. 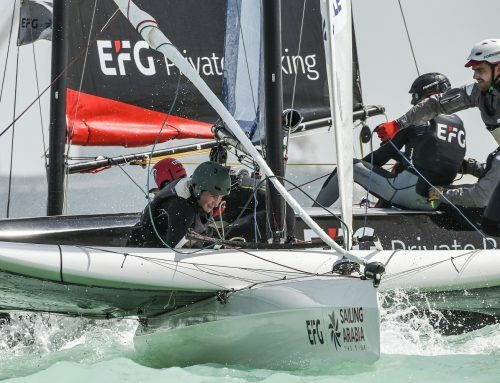 EFG Sailing Arabia – The Tour now moves back to the Omani mainland to Ras Al Hadd on the eastern tip of the country, known for being a key breeding ground for green turtles. 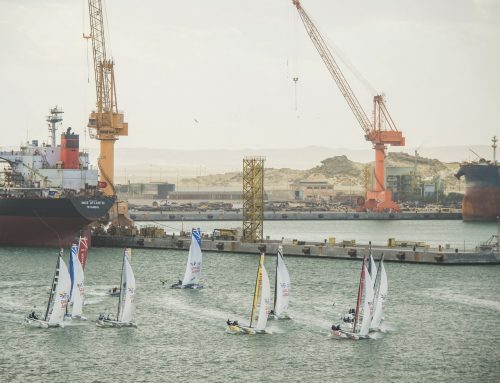 The fleet will race north from Ras Al Hadd to Sur in a 22-mile coastal raid on February 14, with the penultimate stadium race series taking place in Sur the following day. The action will then move to Bandar Al Rowdha on February 16 before concluding in Muttrah, Muscat’s old town, on February 17.